Grown high in the Andes Mountains of Colombia in rich volcanic soil, our Supremo coffee beans are specially selected and handpicked to guarantee you the finest cup of coffee. These Supremo beans are carefully roasted to a deep, robust colour, then ground fresh to capture their full-bodied flavour and smooth sweet aroma. 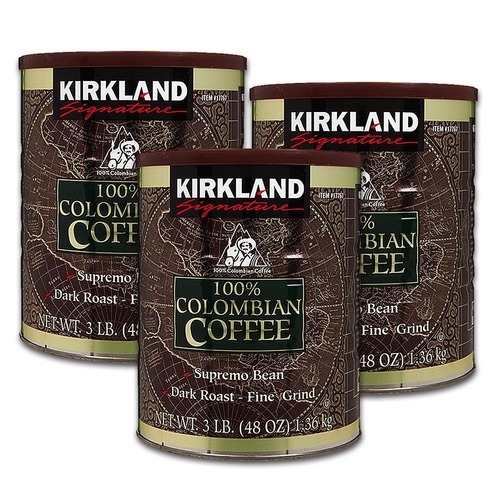 You are assured of quality, consistency and satisfaction when you choose Kirkland Signature 100% Colombian Coffee.